When you’re cruising the aisle of your favorite store it may be tempting to pick up a box of hair color and try to give yourself a new look. The price of box color makes it really tempting to try and color your hair yourself, but do you know the risks you’re taking? Most people don’t realize how much damage box color can do to their hair. Not only that, but you will probably not get the color on the box, and you may end up with a real mess. Instead of taking the chance with box color, go to a qualified color professional. A professional knows exactly how to mix hair color to give you the results you want, and protect the integrity of your hair. Here are some reasons to put down the box color and call your stylist instead. Your hair has what is known as porosity. This is the ability of your hair to absorb water and chemicals. If you have virgin hair (hair that has never been colored) your hair will be less porous. But if you have colored your hair or used chemicals on it, it will be much more porous. And your hair doesn’t have a uniform porosity. The ends will be much more porous than near your scalp. 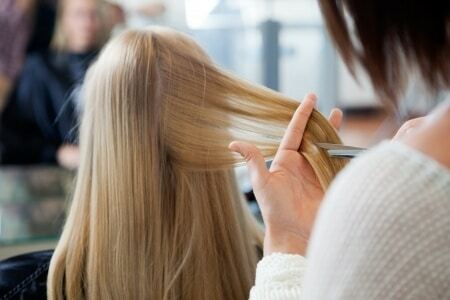 A professional stylist will adjust the application and formula so that you get even color. Think about it this way, you wouldn’t expect a pair of pants to be one-size-fits-all, and this is what box color is like. It is formulated to work on all hair types, but there is no way of knowing how it will work on your hair. Like porosity all hair has underlying tones. Some people have more red in their hair, while others may have more gold. A professional stylist will recognize the underlying tones and adjust the hair color formula so that the color comes out right. Your stylist will also be able to adjust the color formula to accent your natural skin tone. With box color you have no options. Your hair may turn out much redder than expected, or have unwanted drab gold tones with box color. Do you know what all of these hair color terms mean? Sure the box may say it will wash out in about 10 washes, but how do you know? 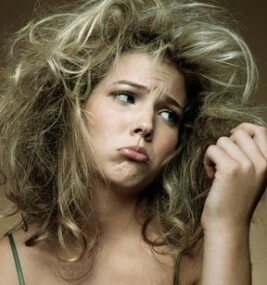 Once again it all depends on the condition of your hair to start with. If your hair is untouched and extremely healthy, yes it may wash out in that amount of time. But in most cases it either stays in your hair and turns brassy, or it starts to fade out in spots. With professional color, your stylist will use the exact formula and type of hair color you need. If you’re not wanting to lighten your hair, then semi or demi color is used. If you want to lighten your hair, and you have never used color, then permanent will work. But if you want to lighten your hair and have used any type of color in the past, you may need to have your hair lightened first. This takes bleach, and bleach should never be used at home. Box color may seem like a cheap alternative to a professional color service. While you may be able to get away with box color once or twice, in the long run your hair will suffer the consequences. This includes dry and brittle hair, unwanted color, and uneven application. The price of a professional color service not only includes the hair color, but also the many years of experience and training your stylist has had to give you the results you want. Talk to your stylist about hair color, and get her opinions on it. Once you know the facts, you will see professional color is a much better investment. Call now to book an appointment. Anastasia is a salon hair stylist in Oklahoma City, OK. Out of town appointments welcome.